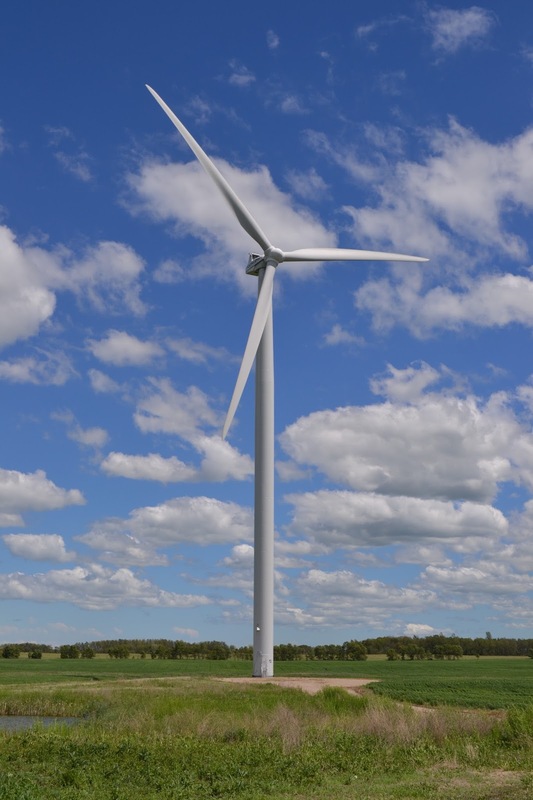 A Canadian wind turbine. PinP photo. Wind energy had a banner day in Scotland. Thanks to an unseasonably windy Sunday, wind turbines generated more electricity than the country actually needed. Story here.